The John Francis Murray estate designed by Dwight James Baum c. 1930 in Old Westbury. Murray was president of Murray Radiator Co., vice-president of Thomas E. Murray, Inc., and co-founder and partner in the stock brokerage firm of John F. Murray & Co. He was also the Commissioner of the Port Authority of NY under Governors F.D.R. and Herbert Lehman. Click HERE to see the Murray estate on google earth and HERE on bing. I don't see the appeal of living in what looks like a college dorm, circa 1910. "Dad's in Heaven with Nixon"
LOL Ancient – not knowing your age I wonder if you’re referring to your college dorm (in 1910?). Overall, I think it would be a much better looking house if the oriel window & white stone trim around & over the front door didn’t overpower the entire rest of the house. I’m always a little surprised to see big houses built in the early 1930s when I’m sure there were beautiful houses at bargain prices everywhere. I like the look of the garage & the way it’s angled to the house. I like the way the house is screened from Red Ground Road & believe the U-shaped drive is wide enough on one side to allow cars to parallel park & still allow a lane for traffic – nice for big family gatherings. It looks very well maintained & still has a decent amount of real estate around it. Looking at the immediate neighborhood I conclude some tennis court salesman made a killing in this neighborhood. College dorm. I was going to say that! The garage quadrangle--er, court, is much nicer than the house. Oh. Except that it's not funny, after all. Moral, never laugh at a title until you've read the story. Where do you bring Otto for therapy? I never saw a water-treadmill for dogs. He seems to be resting well. Glad to see he is recovering. Zach, thanks for the update ... I've been wondering how Otto was. I've also never seen an underwater treadmill for dogs – I'm impressed & glad it's doing him noticeable good. Is the goal to go a certain distance or for a certain length of time? I also have a question about the first photograph because it’s an interesting picture since I know what’s going on: Zach, is that you in the tank with Otto or is that you caught in the reflection, staring intently? Another one of those properties you need to see in peson. While it is tue that the garage is the best part, the house is lovely, wonderfully scaled, lovely brick, beautiful roof and excellent integration with site. Unfortunately the surrounding area has suffered an even worse decline than the rest of Old Westbury, a village which manages to retain a modicum of charm only because it started out with so much. 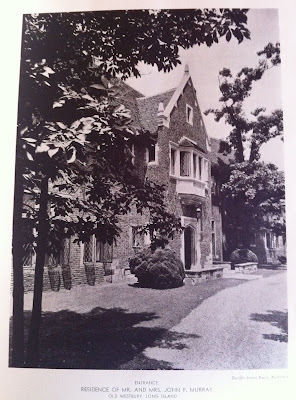 Between the village mandated relocation of Knole's gates, the destruction of Von Stade and most of I.U Willlets and the ongoing "restoration"/defacement of OW Country Club OW is a shadow of its once grand self. The place is called Water 4 Dogs. The goal is to build up his muscle which practically disappeared in his right leg without putting too much strain on his leg. He's started off just walking but will eventually graduate to running on it. The legs you see belong to the physical therapist who stays in there to keep him from trying to jump. The reflection is me. LOL Zach, thanks for the response -- you sort of look like Auguste Rodin's "The Thinker" ... but with a digital camera. NSP....I agree,everytime I drive down I.U. Willets,or past the Bostwick estates on Old Westbury Road, or past Knole or Spring Hill, a feel sense of loss for a time long gone and that will never,ever return. A good deal of the blame should go to the VIllage of Old Westbury itself. When the plans for the Spring Hill subdivision were filed, they wanted the developer to knock down everything... front gate, gate house and the wonderful stables complex. Thankfully they put up resistance and were successful in convincing the Village to allow the structures to stay, albeit with zoning restrictions attached to them (specifically the stables lot). That said, the Village did deny a demolition permit to the developer who bought Knole, forcing him to sell the house to someone who planned to keep it (which I believe ended up being some tax exempt religious group). But it is something I have believed for some time now, that it almost seems like O.W. is intentionally trying to scrub away the past. Can someone please tell me where they relocated the beautiful Knole gates? I don't know...but I tell you...my stomach goes in knots each time I pass and see what they have have done. I don't even want to drive by Knole to see the damage... too depressing. 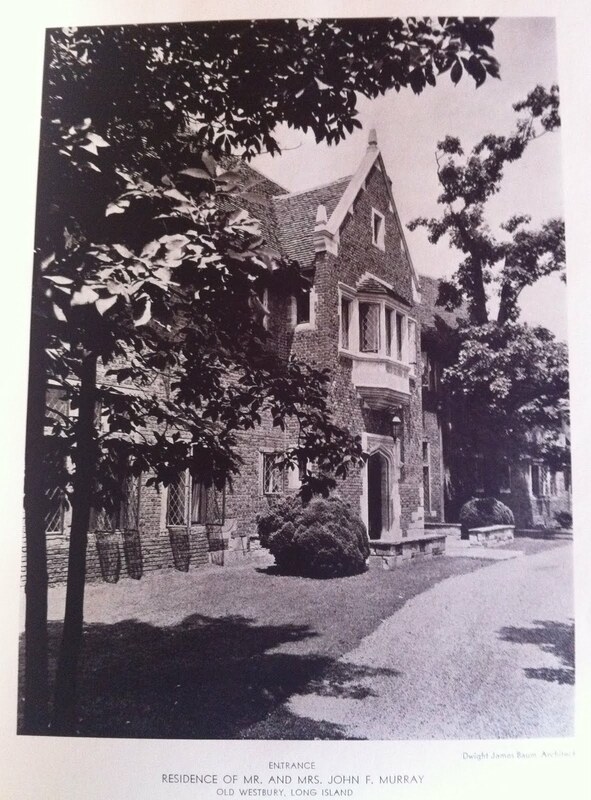 It was one of Old Westbury's best entrances, particularly when the stables were still there. I suppose it was the developer that set them ablaze. 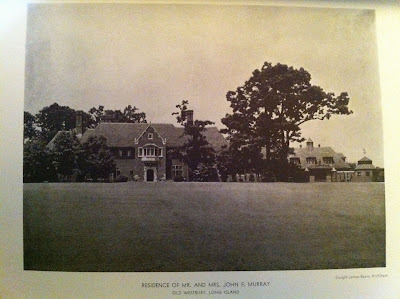 At one time, I believe Old Westbury held the torch for the most "Best Entrances"....but no more....it goes beyond depressing. Though Glen Cove runs a close second in the "loss of charm" club...now it seems more like Trash Cove. Glen Cove has held first place long before Old Westbury. Now OW holds the torch for the most horribly raped and disfigured village on the north shore. Zach is correct... the Village of Old Westbury is much to blame. They are a disgrace! This was my grandfather's house in the 1930's-1940's; my father grew up there.